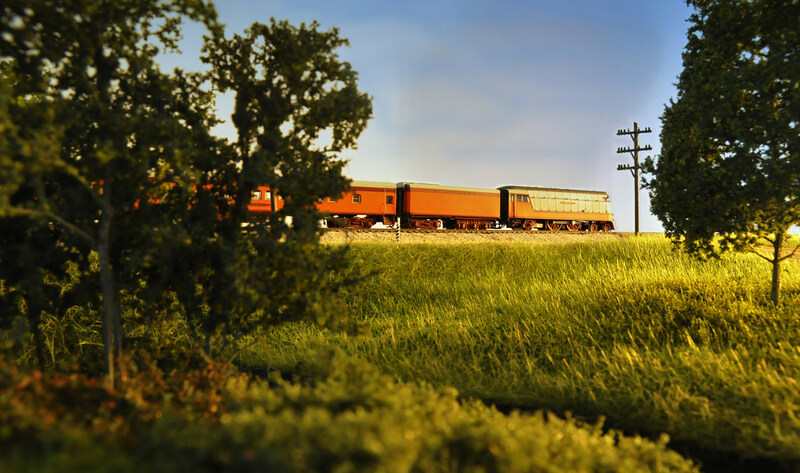 Our layout is based on individual modules that model specific scenes or areas usually based on real locations scattered around the Midwest. We are fortunate that we are all fairly like minded when it comes to modeling and have been able to agree on standards for even the smallest stuff across the modules so they have a cohesive look similar to what you would find in a large basement layout. Our group isn’t afraid to push each other a lot to try new techniques and new ideas – thus our unofficial motto/joke: “Better modeling through peer pressure”. We use a two-track mainline that runs on Digitrax Digital Command Control. 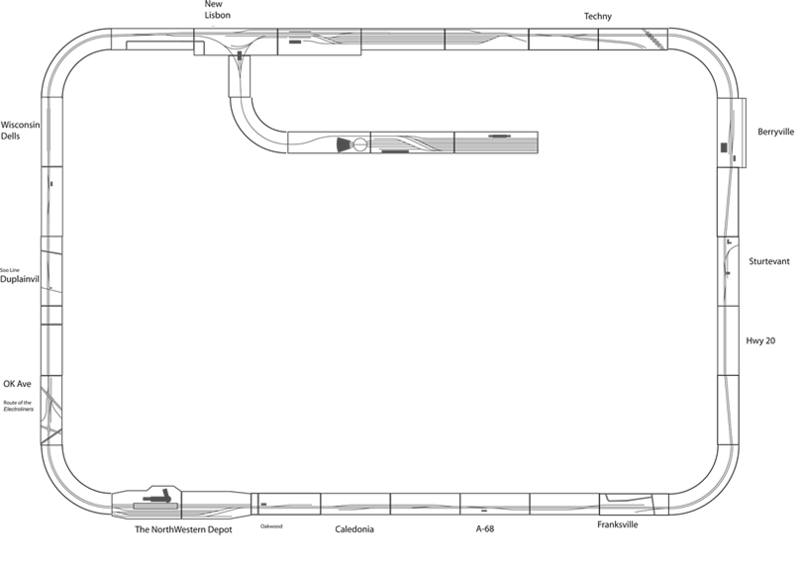 Track spacing is 1.25″ inches. All of our track is Atlas Code 55 flex track, #7 and #10 turnouts with a few handlaid turnouts sprinkled here and there. The main wiring bus utilizes a terminal block and molex connectors at each end of the module. We do not use rail joiners or small track joints between modules – the modules are flush against each other with flex track running all the way to the end of the module where it meets up with the opposite module. This requires a very consistent track alignment jig that we use during construction to ensure the modules line up properly. We use a lightweight construction of cross-drilled 3/4 baltic birch for the end plates and center reinforcement. 1/4 baltic birch is laid across the top and sides to form the base. We use 1/8 inch Masonite in a modified spline as a track base. 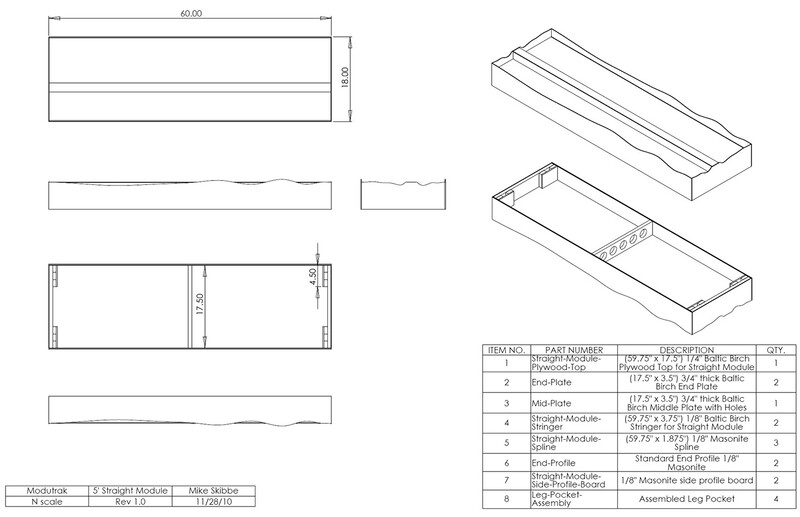 We also use 1/8 inch Masonite for the final end plates and sides of the module. Our scenery materials are a mix of Woodland Scenics and Silflor products for the most part. The static grass is mostly Silflor product with some Woodland Scenics mixed in from time to time to add some variation. Most trees are Super Trees material that are painted and hand flocked. The dirt is Smith and Sons fine dirt. Our ballast is Pennsylvania Railroad grey from Arizona Rock and Mineral. This is consistent across the modules so there is a cohesive look regardless of where they are built. Just viewed your layout at the train show at Harper College today and if they would give out awards there, you should get “Best in Show.” The layout is very simple, but the detail is fantastic, less is more. Just so much realism. The grasses, the farm fields, the weathering on the buildings, and cars is very nice. Next year I will bring a camera. Has your group published standards for track and module construction?